Much of my work deals with reusing materials cast off by society. Plastic bags have been cut and hand spun to create a yarn that is woven into a thin strip. 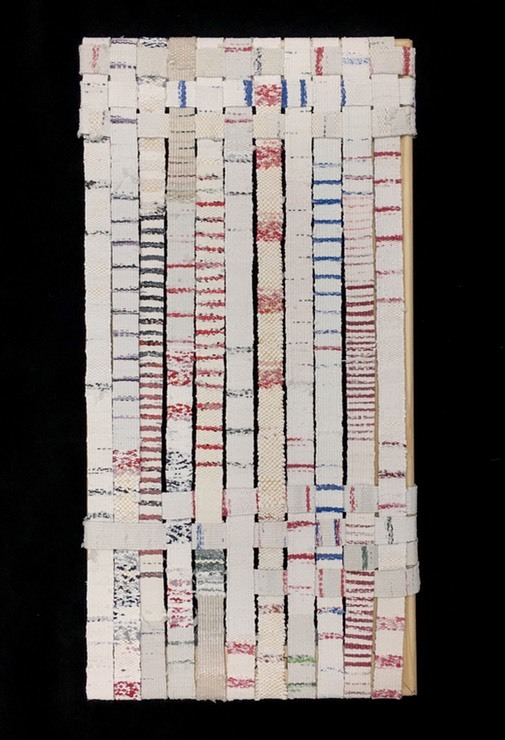 This strip is then cut and rewoven on a stretcher to create the finished work.